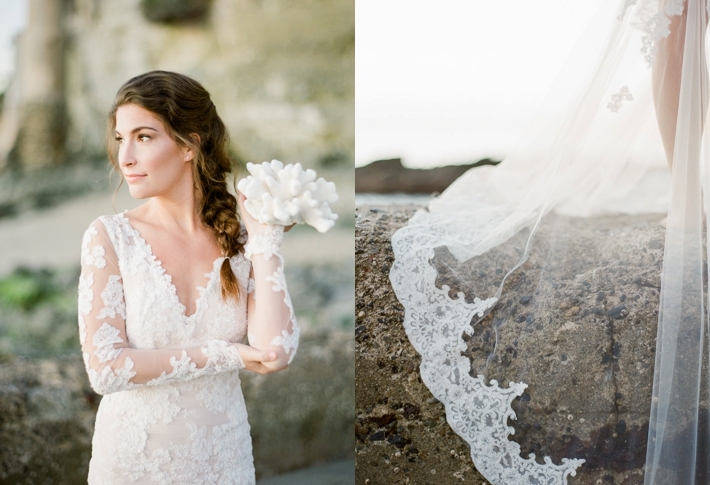 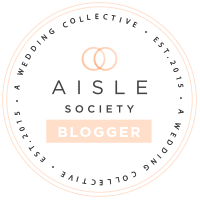 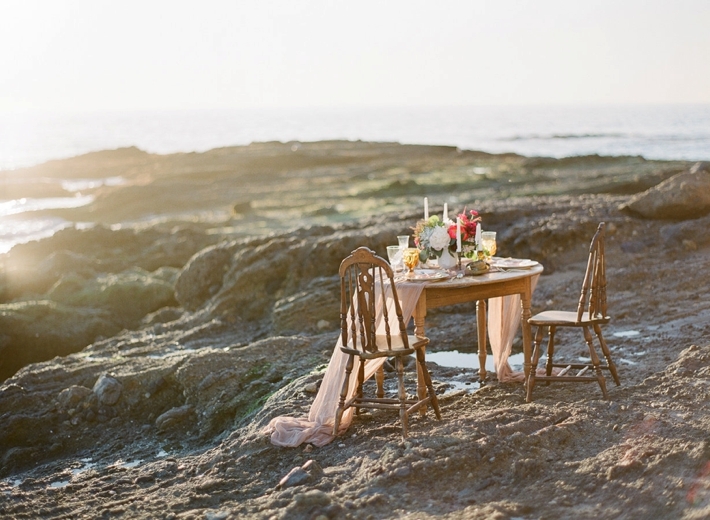 This seaside bridal inspirational shoot from SCB Member, Ragi & Amanda, has us with all the heart eyes possible. 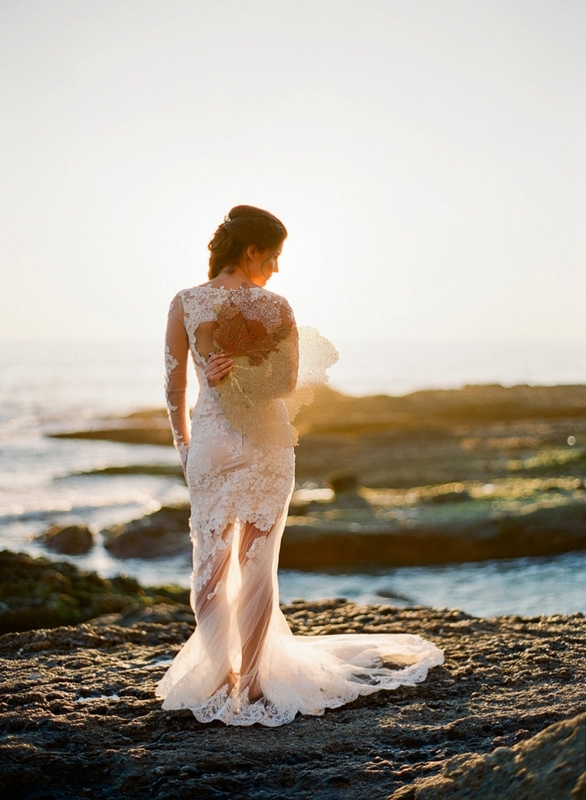 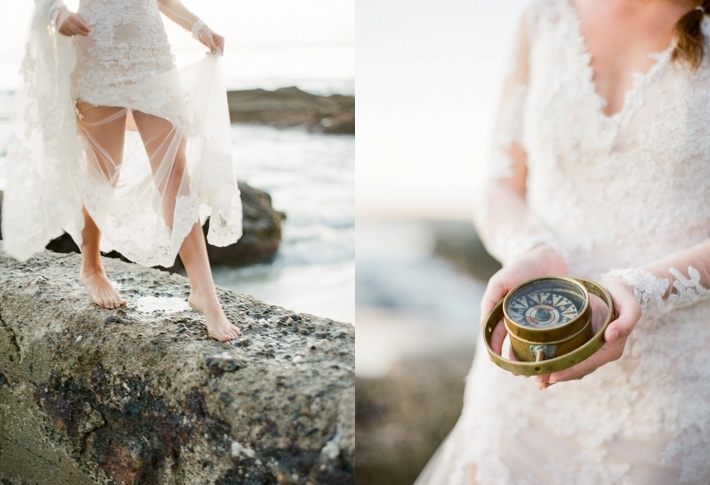 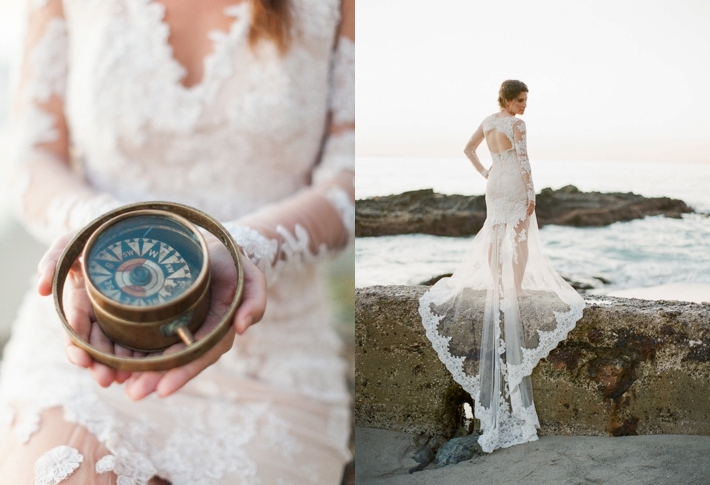 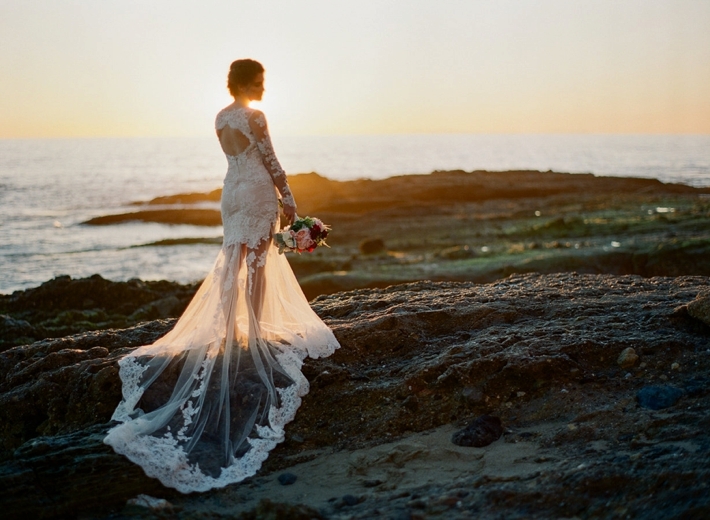 It's an absolutely breathtaking shoot that took place on a beautiful rocky beach in Orange County. 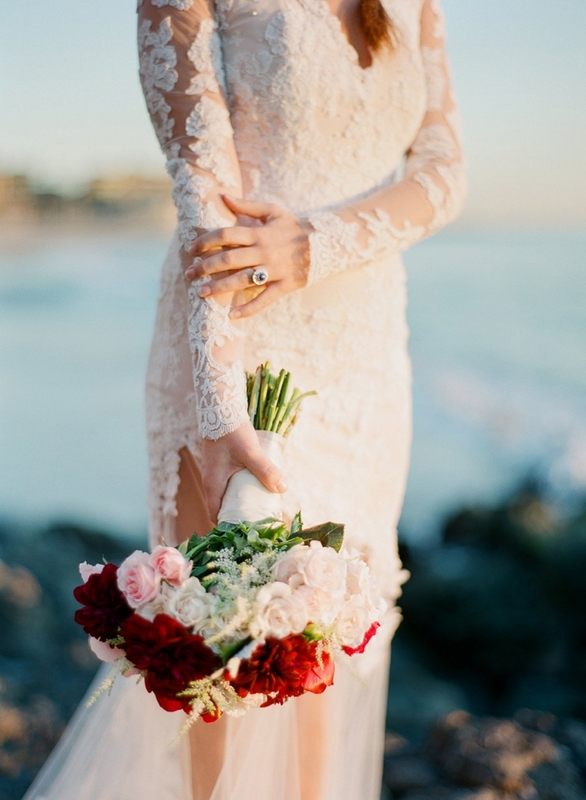 This shoot is a special one for us because the designer for Begitta Bridal Couture reached out to us via email to let us know that she was going to be in town and wanted to collaborate with us so we worked with our members to put something together in just a matter of days! 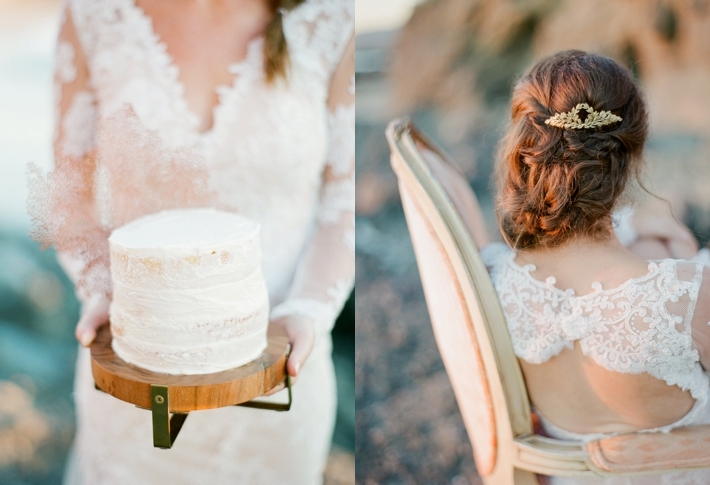 We just can't get over this shoot and we have so many favorites! 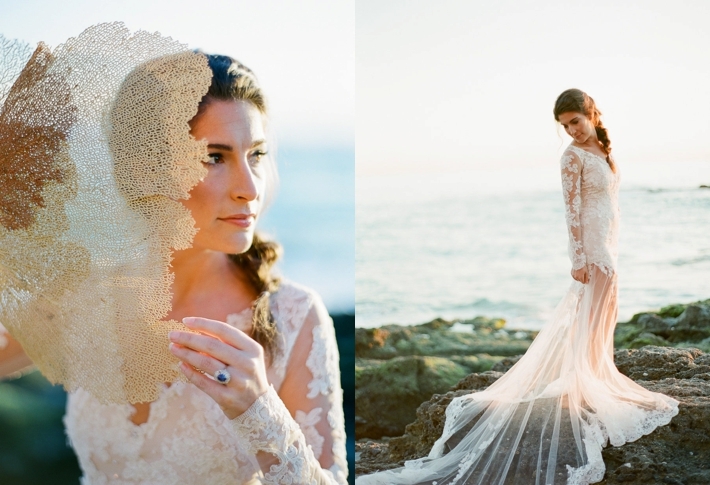 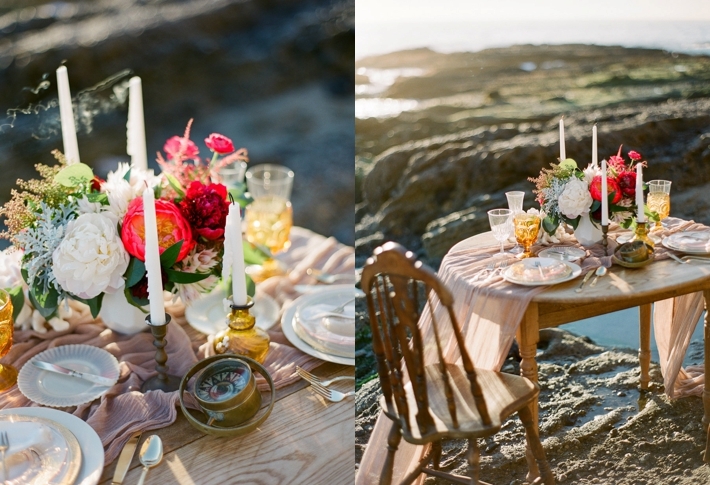 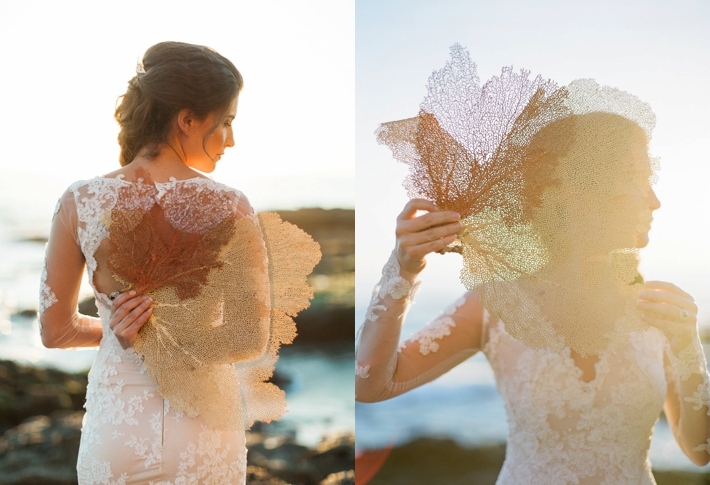 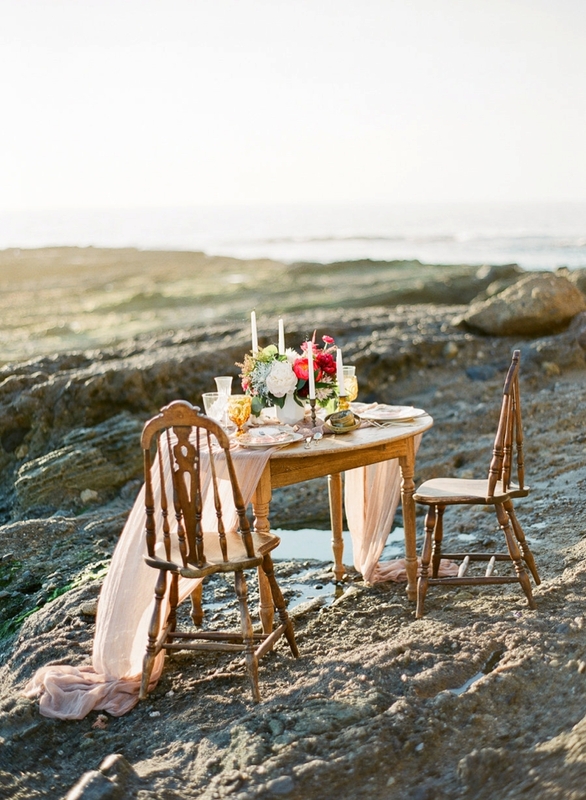 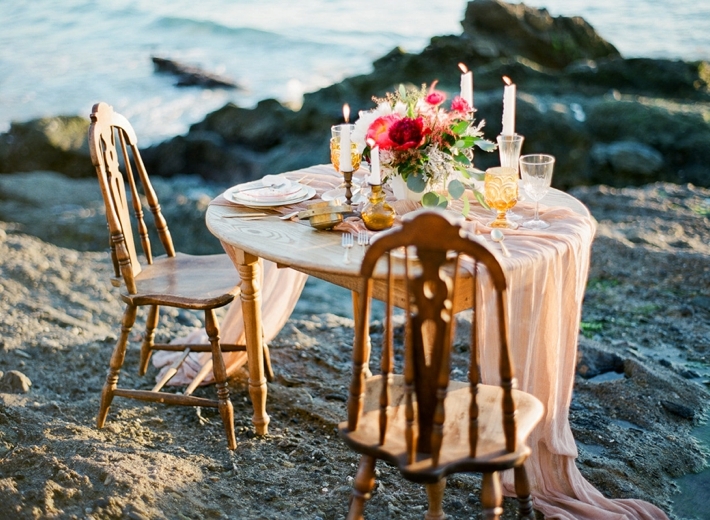 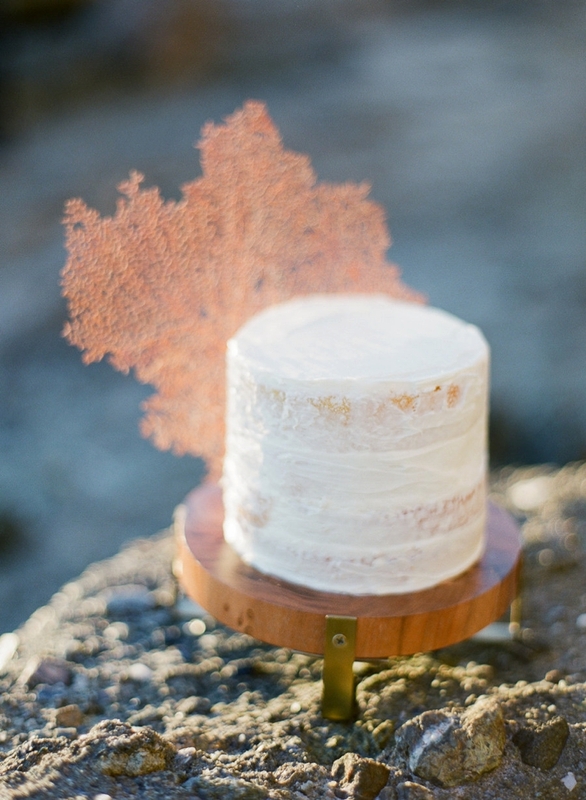 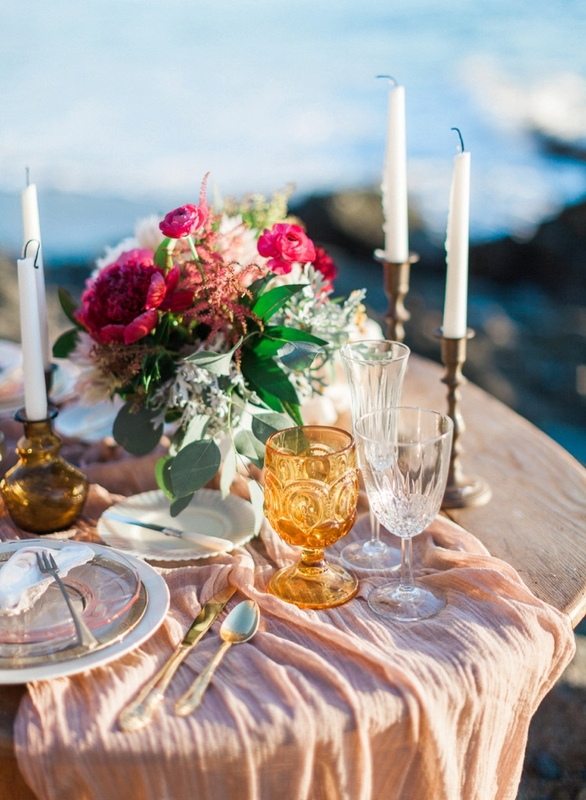 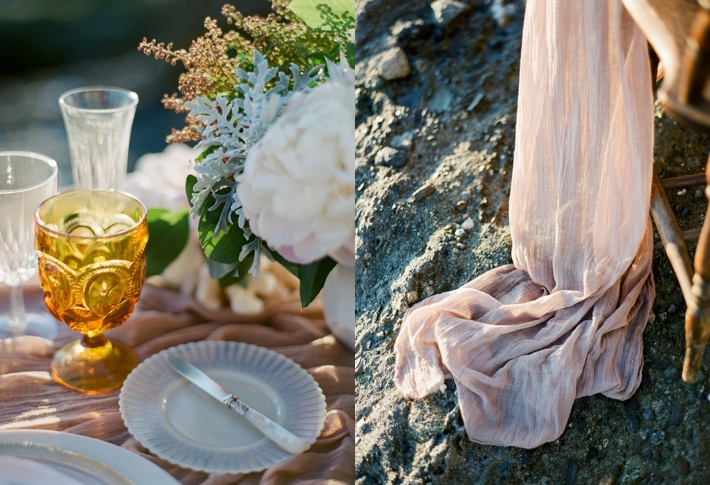 Here is what they had to say about this shoot: "For this shoot we drew our inspiration from the sea, from the colors and textures of coral and the cliffs and rocks that touch the shore on the California coast. 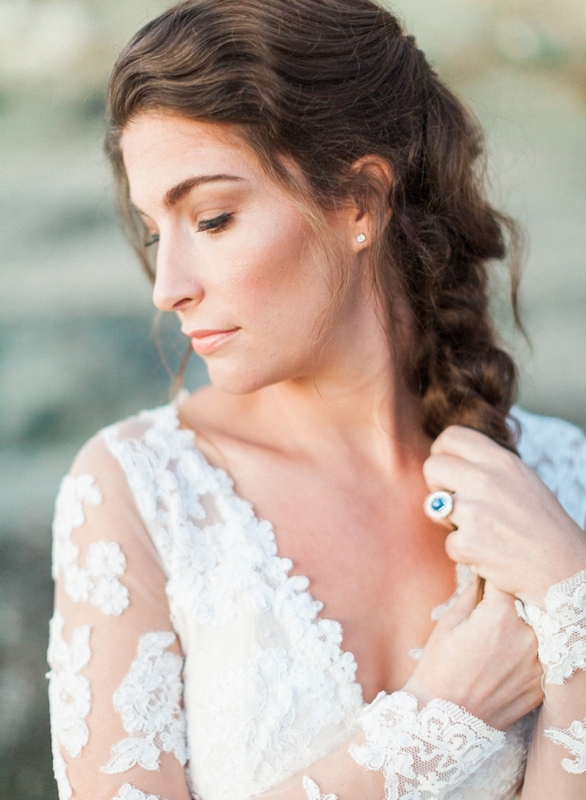 When it comes to the ocean, we typically think of blues and greens. 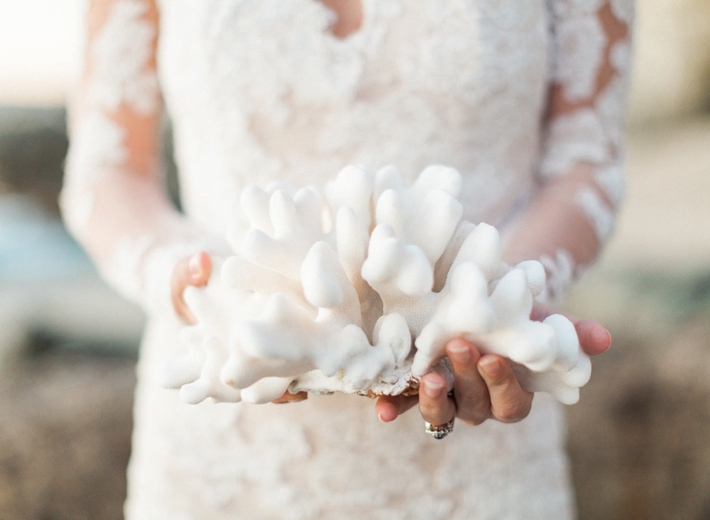 But there are beautiful pinks, corals, and ambers to be found beneath the sea. 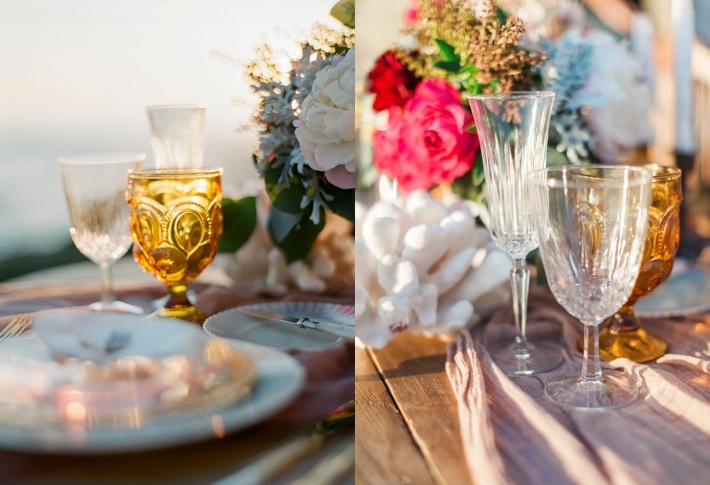 For our table we wanted to incorporate these inspiration colors through beautiful florals and sparkling amber glass that catches the California sunset light perfectly. 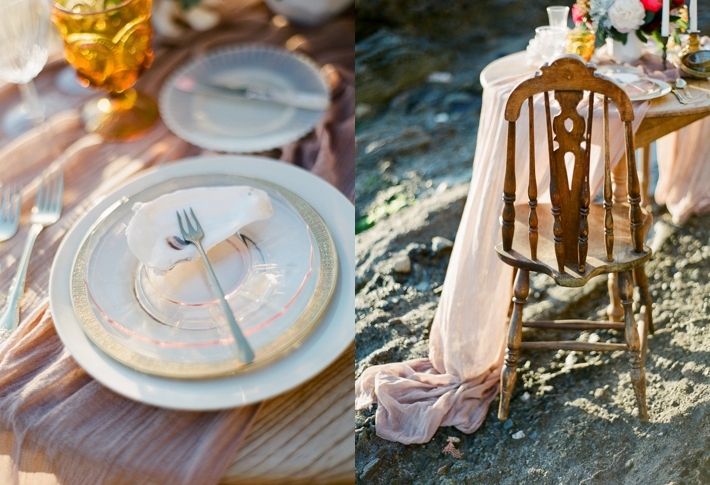 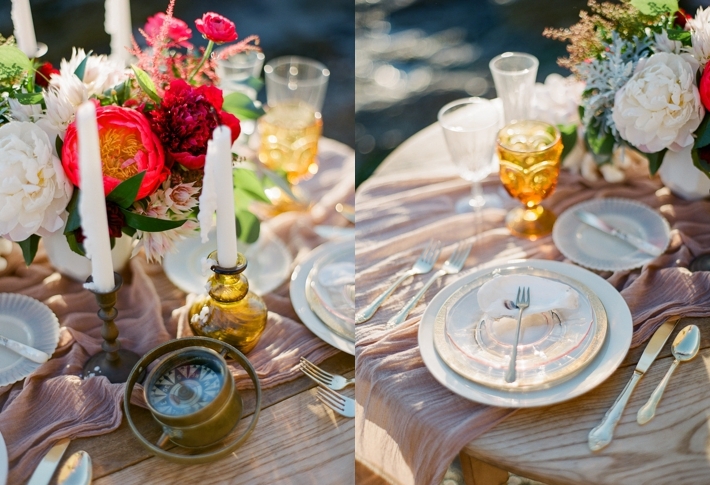 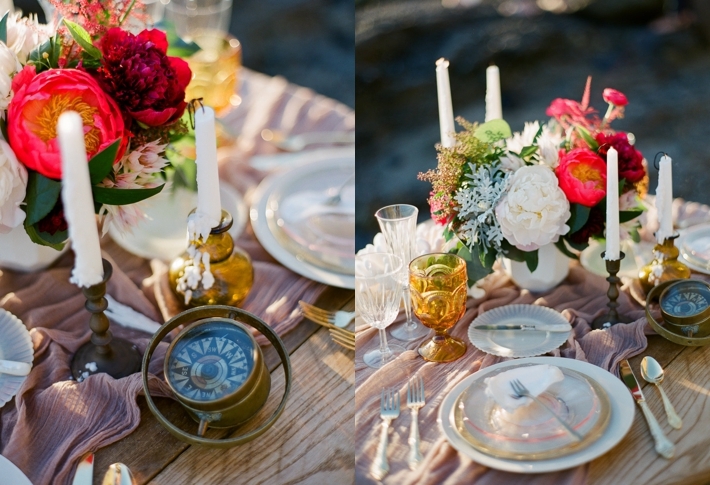 Vintage place settings, candlesticks, and an antique compass give the table a timeless feel. 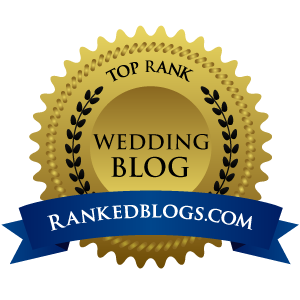 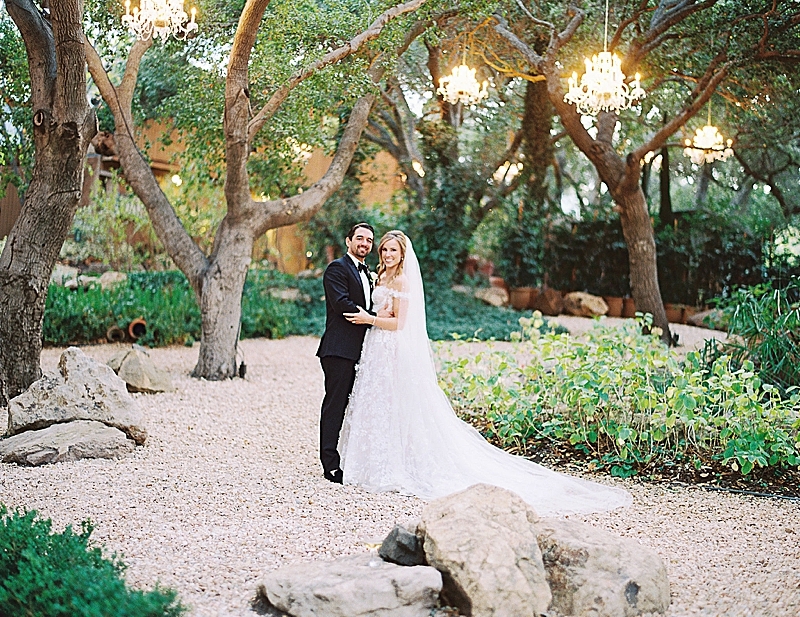 For our bridal look, we wanted to keep it soft and neutral, letting the dress shine. 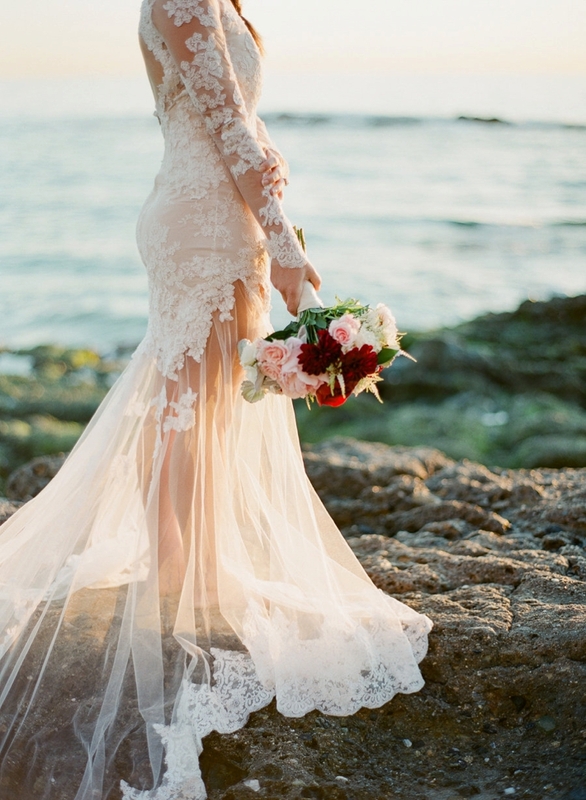 Delicate lace and a sheer skirt remind us of a mermaid, as the sunset light paints the fabric shades of pink and sunset orange."